This is the second post in the 5-post series: Spicing up the Descent Down. The first was posted on March 4. Today's post discusses the value in finessing spice-use as we eat our way down the food chain. Eating down will require all spices to be used more discriminately in order to make foods taste as good and interesting as possible (and compensate for fewer choices/losses in biodiversity). Posts for this blog take emotionally resonant examples then draw implications first locally then globally. The local context is Santa Barbara, which is a major source of both high-end seafoods like sea urchins and lobster, as well as middle food-chain seafood like market squid. Most probably Santa Barbara will also source some of the food chain's lower-end but emerging fisheries such as whelk and Hagfish. The second less obvious implication of the simultaneous trends of fishing down and desiring more seafood is that in 2012 fifty percent of the world's seafood is now aquacultured (see article). But aquaculture also puts pressure on marine animals. Even non-carnivorous fish such as Chinese carp and tilapia consume fishmeal. In 2007, tilapia and carp farms together consumed more than 12 million metric tons of fishmeal, usually acquired from wild but small schooling fish like sardines and anchovies. China has become the world's most noticeable example. All protein consumption is increasing in China, which has become the engine that is driving the global seafood industry. China is in 2012 the world's largest seafood market. Chinese imports of American lobster recently increased in less than one year from about 100 metric tons to almost 1,000 metric tons. Today China is also the world’s top consumer of meat and grain: the average consumer eats twice as much meat as in the mid 1980s. Meat production reached 76.5 million tons in 2005 and is expected to rise at a rate of 5 percent a year (reflecting the rise in disposable income). In the last 20 years vegetable consumption by the average Chinese consumer decreased by 50 percent while the consumption of meat increased 81 percent and that of eggs doubled. As always, step 1 to most processes involving conscious change is a suite of awarenesses: what the key issues are; sensitivity to the differences among the elements; beginning understanding of differences in links between the elements; some idea of how the whole system works; and an inkling of what emerges from the working of such systems. The spice exercise here is designed to enhance awareness of the importance of even small differences. 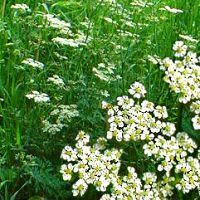 Something we normally don't attend to is the variety of differences among spices in the same plant family, in this case the parsley family (family Apiaceae) and how these distinctions might affect our daily quality of life. As a reminder, this blog is committed to the highest quality of life for all living creatures (see the first post for explication of my values). While aesthetics tend to be treated as personal or relative to a specific domain, for the purposes of this site, the foundational structure of all aesthetics are evolutionary. That means that the foods and spices we think are good, the best, and the most beautiful, are those that over evolutionary time have supported the survival of species. Survival in turn depends on behaviors and traits that are, for a specific environment of evolutionary adaptation, most likely to support and promote mating and reproduction. So one objective for the Spicing Up the Descent Down series is to use the spice most appropriate for the purpose, which is, for the mission of this blog, to make processes and outcomes of eating down the food chain as good or aesthetic as possible. The March 4th post presented a question: which of the six Apiaceae family spices pictured is most likely to surpass black pepper to become the world's number one spice by the year 2050: coriander, cumin, caraway, aniseed, fennel, or dill? They look fairly similar. Taste is one of Homo sapien's basic senses, and the current suite of basic tastes may include sweet, sour, salty, bitter, umami, piquance, and fatty. While sweet is most commonly associated with the experience of pleasure, umami is the taste most linked to an experience considered wholly satisfying. A great champagne is high in umami, while the cheapest version available at the corner store is void of umami, though it may be sweet. (See post 1 for two ecological champagnes high in umami). High in sweetness but low in umami produces a champagne that is intensely unsatisfying. Cumin is here argued to be the umamiest spice of all: rich, satisfying, aromatic, flavorful, seductive. Everything considered, as we eat down the food web, the fish we eat at lower and lower levels taste better when seasoned with cumin. Other spices in the same plant family can be used selectively, but sensitive discrimination is important to spice success. While a bland fish flavored with fennel or coriander may prove more interesting, it probably will not be as satisfying as bland fish seasoned with cumin. That said, adding coriander and fennel to a cumin base will probably make the fish even more interesting. A Moroccan recipe is presented at the end of this post that uses cumin, fennel, coriander and parsley, piquancy spices, a touch of bitter, oily or fatty. In effect, this dish has everything you want except wildness. 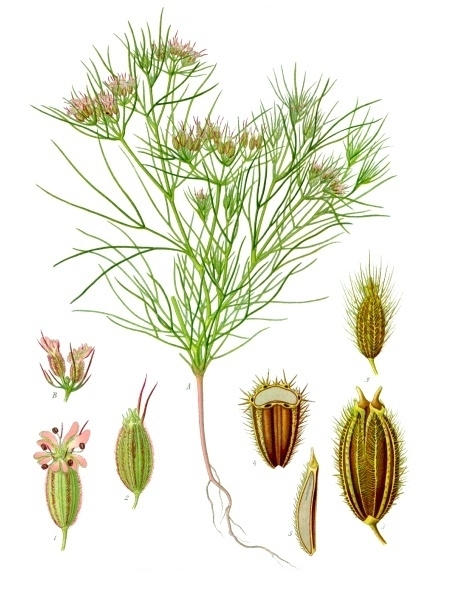 Cumin is a spice that characterizes cooking in N. Africa, the Middle East, Central America, Mexico, South America, Far East Asian, and other areas with countries for the most part characterized as third world. 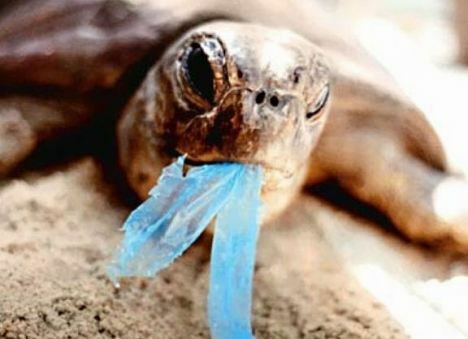 Almost all of these countries can be described as relatively low in the amenities of refrigeration and safe food storage and consequently, relatively high in the use of species to prolong food life. For many hundreds of years this has been true for those areas, which excel in the use of spices with both preservative and flavor-enhancement value. While necessity is classically considered the mother of invention, over time, necessity and invention parse into degrees of excellence, as determined by those who care.So in these third world countries we find innovative recipes that meet discriminating palates to varying degrees. Seafood has been one of the foods that embodies maximum energy output for minimum energy input. Seafoods that are also complete proteins optimize food value from the perspective of consumers such as human beings. Proposed here is a model recipe for using the spice cumin with fish that will probably become more common as a menu item as we eat our way down the food web. Today's post features cumin and uses the fish Cobia as one case of how to proceed to optimize global pleasure. Since most seafoods in the future will be aquacultured, it stands to reason that those fish that do well on farms will be the fish most cultivated. Cobia does really well, reaching market size in under one year. Known as cabio on the U.S. Gulf Coast, Cobia are found in all tropical and warm-temperate waters. This fish has no related species. 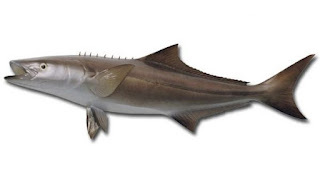 In their natural state, Cobia grow relatively large, ranging from 30 to 50 lbs, though fish over 100 pounds have been caught.Cobia has been proposed to be 'the First Fish of the 21st Century'. This newcomer to western menus is considered tasty and versatile, in contrast to another popularly aquacultured fish, the Tilapia, known for its neutral taste and a texture that can disappear if the fish is overcooked. As part of this post's discrimination exercise, the different parts of this fish have very different moisture and fat content with remarkably different tastes and different methods of prepration also result in significant differences. Care must be taken to remove all skin, since the skin is notoriously fishy tasting (read unpleasant). Raw cobia meat is fatty and juicy and is often compared to fatty tuna (Toro). Cooked Cobia is white and firm, comparable to swordfish, but fairly bland tasting. Akvacobia, the brand name of cobia raised by Marine Farms, is considered sashimi grade fish. Below is a simple cumin-based Vinaigrette recipe for Cobia. Here is a more complex Moroccan chicken recipe from Food Network that presents an opportunity to taste the subtleties of four members of the parsley family (Apiaceae) spices as well as how the flavors of seeds and leaves differ from the same plant : cumin, coriander and fennel seeds; coriander (cilantro) and parsley leaves. Each changes the overall taste of the relatively neutral protein of chicken, also most likely to be farm-raised. To prepare the Moroccan Spice Mix for the Chicken: Combine the cinnamon stick, cloves, cayenne, cumin, fennel, coriander, and paprika in a dry skillet over low heat and toast for just a minute to release the fragrant oils; shake the pan so they don't scorch. In a spice mill or clean coffee grinder, grind the toasted spices together, with 1 1/2 teaspoons of kosher salt and the brown sugar. Rinse the chicken with cool water, inside and out, then pat it dry with paper towels. Massage the chicken skin with the spice rub; make sure you don't miss a spot. Season the inside of the chicken generously with salt and pepper. Stuff the lemons halves, cilantro, and garlic in the cavity and place the chicken in a roasting pan fitted with a rack. Fold the wing tips under the bird and tie the legs together with kitchen string. Drizzle the oil all over the chicken. If you have time, let the chicken marinate for 30 minutes to really get the flavors down deep into the meat. Roast the chicken for 1 hour; pop an instant-read thermometer into the thickest part of the thigh; if it reads 160 degrees F, it's done. Allow the chicken to rest for 10 minutes so the juices can settle back into the meat. For sandwiches: Remove and discard the skin from the chicken. Pull the chicken from the bone and shred the meat, with your fingers or 2 forks. Put the shredded chicken in a large bowl and squeeze the lemon halves that have cooked inside the bird over the meat to moisten. To put the whole thing together: put the shredded chicken and couscous on the lavosh bread, add a few spoonfuls of the olive sauce, and roll the sandwich up. After the chicken is roasted, let it sit with skin on and re-absorb juices (about 20 minutes). Prepare couscous as instructed. Prepare the green sauce with or without a processor, leaving rough textures in the finished sauce. Serve couscous in very large bowl, put chicken on top, and serve with sauce in one bowl on the side and chicken juices in another.